The Natural Fish Oil Concentrate used in this soft gel is manufactured under strict quality control standards. It is tested to be free of potentially harmful levels of contaminants (i.e. mercury, heavy metals, PCB's, dioxins, and other contaminants). This product has a high quality of fish oil and this is recommended in Nemechek Protocol a protocol that uses high quality fish oil in treating kids with autism and other developmental disorder. I recommend to those who has less intakes of EPA and DHA daily basis. It produce from fish and other natural foods. You need to google it for understanding and its benefits of `Omega 3`. Best of Luck!! 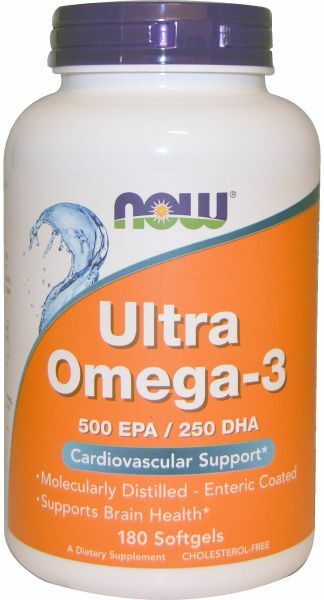 EPA and DHA levels and well known `NOW` nutrition company. Good capsules and less smell!